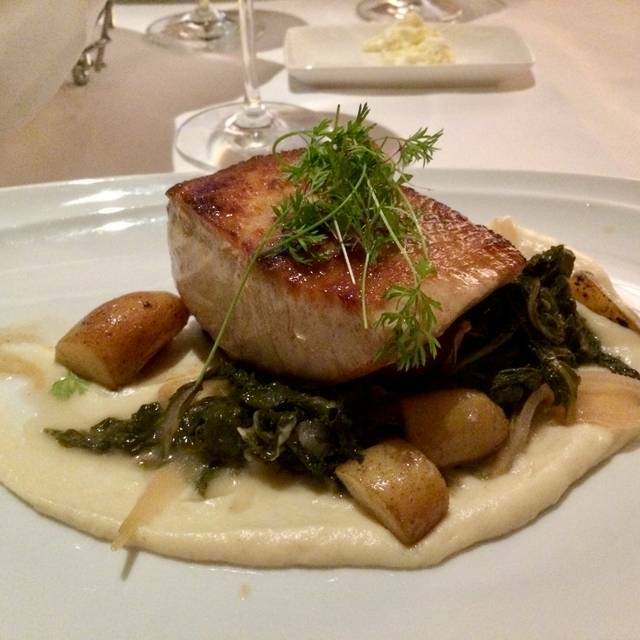 Immerse yourself in the most delectable dining experience Tampa Bay has to offer at The Maritana Grille. 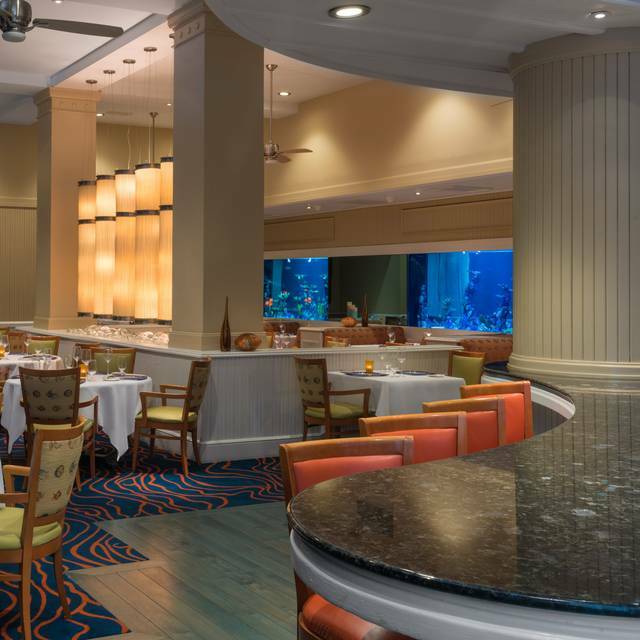 The signature restaurant at the The Don CeSar, you’re surrounded by 1,500 gallons of salt water aquariums filled with colorful, native Florida fish. Dine on the freshest local seafood prepared with pure, organic ingredients. 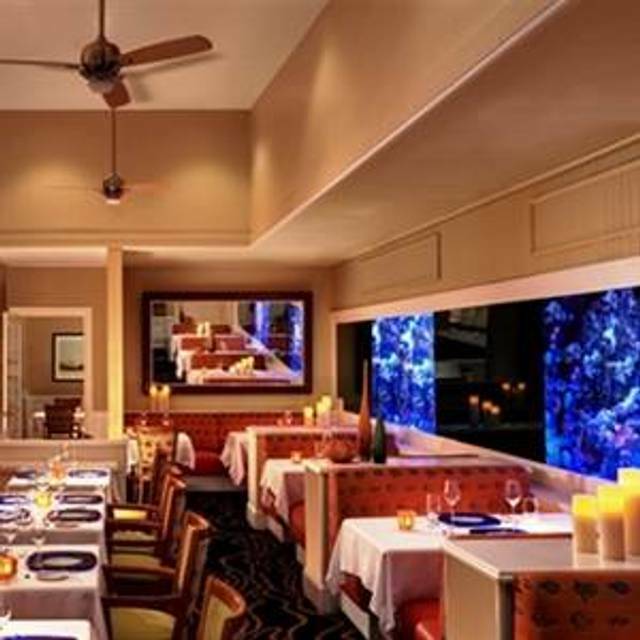 With an extensive wine list and world-class service, it’s no wonder The Maritana Grille was voted one of the Top 10 seafood restaurants in the United States by the Gayot Guide, and has received AAA’s 4-Diamond Rating. The vibe is casual-chic, no jackets required. The atmosphere is festive yet intimate. Before dinner, enjoy cool libations including local beers and craft cocktails at our newest addition, The Rowe Bar (located on the Garden Level), where southern hospitality meets the modern bar. The Rowe Bar offers great views of the sunsets St. Pete Beach is famous for. We had a wonderful evening with great service and great food. Would recommend and return again to celebrate a special event. 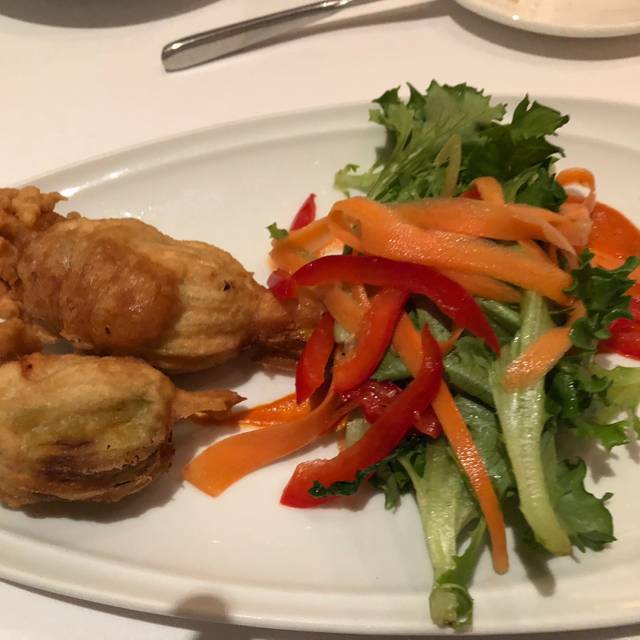 This is our go-to place for a special dinner. Always excellent. Always glad we splurged and went. I think the food rivals anything in the Tampa Bay area. Food was excellent! Our service was awful. He forgot our anniversary and got so busy with other tables which he spent a lot of time with and completely forgot us. Forgot to come get our order. Brought us the wrong drinks. Was never around. When he brought our check after us waiting 20 min to catch him for it, I mentioned our anniversary. He threw the hostess/manager under the bus and blamed them for not telling him. But he knew. We had a nice time together but were very disappointed with our service. His name began with a J I think...James, Jeff. Never really caught it. Unfortunate given we were on a getaway to celebrate. This dinner was our big hurrah. My family and I were guest at the hotel for a week long vacation to celebrate my father’s 70 th birthday. All of our dishes were excellent and the wait staff were very attentive and personal. Thank you for making my father’s 70 th birthday memorable! Great food great service, great location. We celebrated our anniversary!! Service was excellent. Our waiter’s name was Rocco. 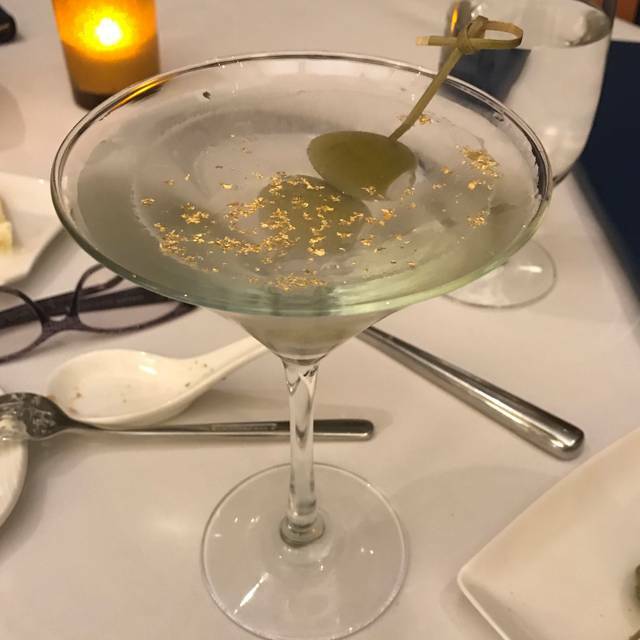 My Martini and my gin & tonic did not live up to my expectations. I ordered a half dozen Blue Point oysters to start and they were disappointing. Being from the Chesapeake Bay region I was hoping for better. My entree was scallops and they were outstanding. Overall it was well worth the visit as we had a very enjoyable evening. It was wonderful. I ordered the lobster which was great- I just wished there had been a bit more lobster vs the pasta. 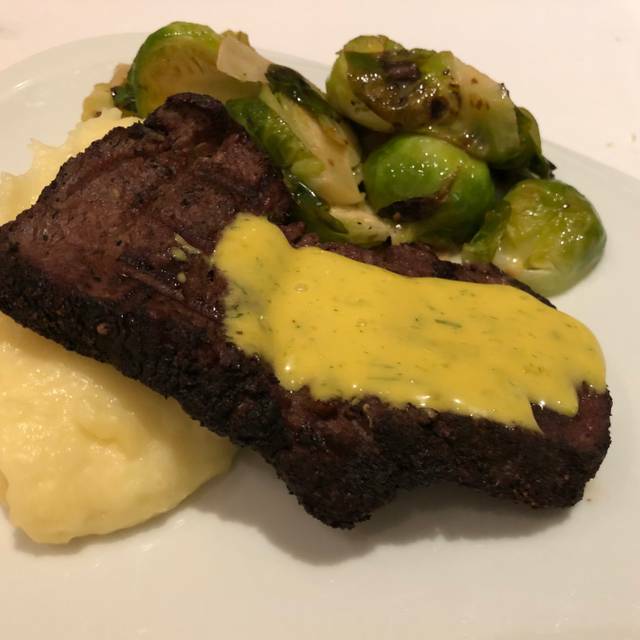 My boyfriend raved about the filet Oscar. We wanted to be out in time to catch the beautiful sunset and our waitress walked us to the best exit to do that. Valet was free too. Great experience. Service was outstanding! Jeff R did an incredible job explaining everything about the menu, the chef, and the property. Thank you to all! Fantastic Job!!! The food was excellent and well-prepared. The service was commendable. It was a bit pricey, but not too unreasonable. The fish was incredibly fresh! I would definitely recommend this restaurant to anyone visiting the St Pete Beach area. Was excited to see the hotel. Restaurant was comfortable and drinks were fine. Then we asked 3 times for extra bread and butter and are still waiting. Appetizers was great. Fois gras. Then a long wait for main course. Finally 3 of 4 arrived. Food was fine 4th appeared on 20 minutes. 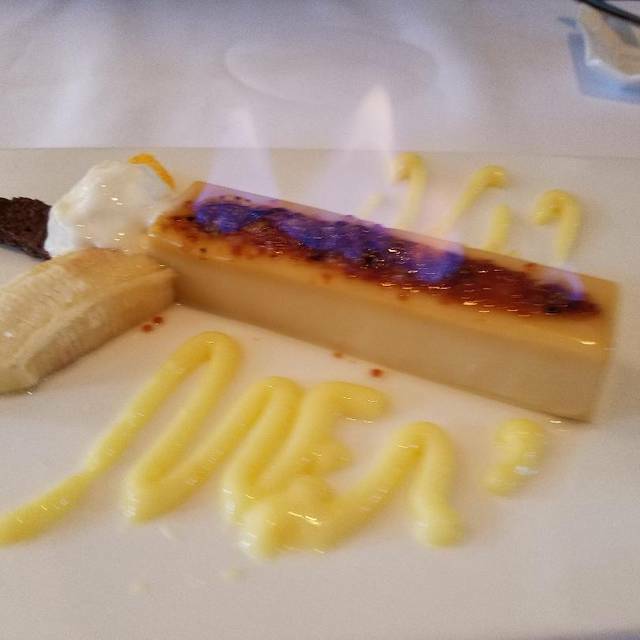 Nice dessert. Then 30 minutes more to pay check. For these prices they can hire more help. We loved our evening at the Maritana Grille! A great place for a date. 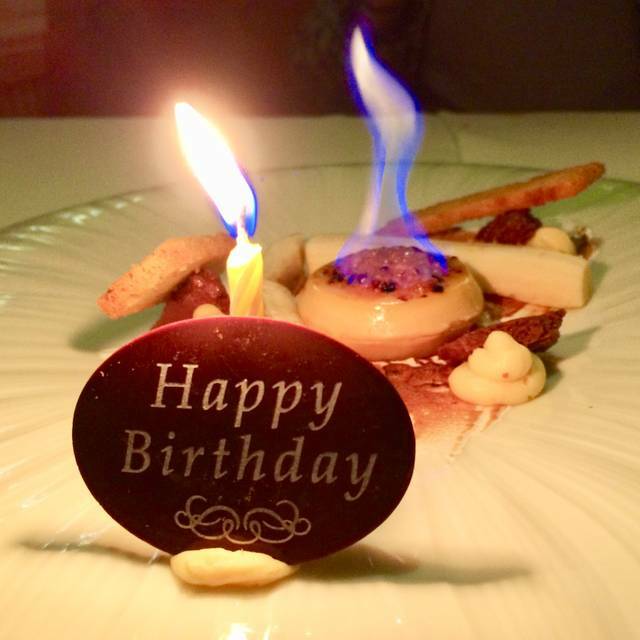 The staff was gracious, the food was fantastic, and the atmosphere was elegant. 5 stars!!! My boyfriend and I went to Maritana Grille for my birthday dinner this year, and it didn’t disappoint. From the moment we were seated until we left, every moment was wonderful. Excellent waitstaff, excellent food, and a wonderful ambiance. I can’t wait to go again. Great food. Great service. What a great night it was! The staff at the DC are exceptional. From Valet Parking to the restaurant they were all very friendly, polite, welcoming and couteous. Our server Don, and his aide Yvonne did a brilliant job in taking us through the menu, and serving a tasty, creative meal. There is an extensive wine list, but expensive. After two months on the beach we wanted to enjoy a great final meal before returning home and the Maritana didn’t disappoint! Until next time! Thanks. Lovely room, excellent server, quiet, with subdued lighting, and high quality food. We had dinner at the Grille on Sunday March 24. While our overall experience was very good at the Grille, my husband's Buffalo osso bucco was so dry and overcooked that it ruined dinner for him. As we were with another couple, he did not want to send his dinner back. Our guests thoroughly enjoyed their dinner. The service was excellent. Our server was delightful and very knowledgeable about the menu. A restaurant of this caliber should be totally consistent in cooking. Sevice, Janet, outstanding. Bring back the Reveal and bring back Joffrey's coffee. Not quite worth the money if you're used to this type of restaurant back home. If you live in the area or in FL, probably one of the better spots you could eat at if you want upscale. My husband and I live in Philadelphia, a great city to make food your hobby; we've spent a fair amount of time in the best restaurants our city has to offer and when we travel we're on the hunt for the best restaurants and dining experience we can find. We were in the mood for fancy and upscale in both food and atmosphere and were willing to pay for it. All in all I would say the place is a bit overpriced for what you get. We ordered the Foie Gras and Bourbon Pear Salad to start - both amazing and the chef/server plated the salad separately for us which was very appreciated - and Redrum and Tilefish for dinner. Our server was nice and if the restaurant wasn't so expensive I would say the way he waited on us is perfectly acceptable but considering the money you pay, I would've expected stellar service - he was a little forgetful and seemed kind of out of it (often circling back to double check the order he just took or to ask a question he meant to ask a moment before). The Tilefish was delicious but I couldn't believe it was $45. Similarly a Bullet old fashioned cost us $17 - that's more than half the cost of the entire bottle to give you an idea of their markups. I am a bit biased as I've tried to mention - we frequent an amazing restaurant in Philly called Little Fish that specializes in superb seafood dishes and I don't think I've seen a dish on their menu for more than $40, with this in mind we were expecting prices to be a little more in line with St. Pete, even taking into account that this is an upscale restaurant. The restaurant was far overpriced for the overall quality of the dishes we received. We've not been impressed by any of our entrees and appetizers. The limited creativity in taste and overall preparation of the dishes was a problem. In addition the portions of some appetizers were ridiculously small for $20-$22. 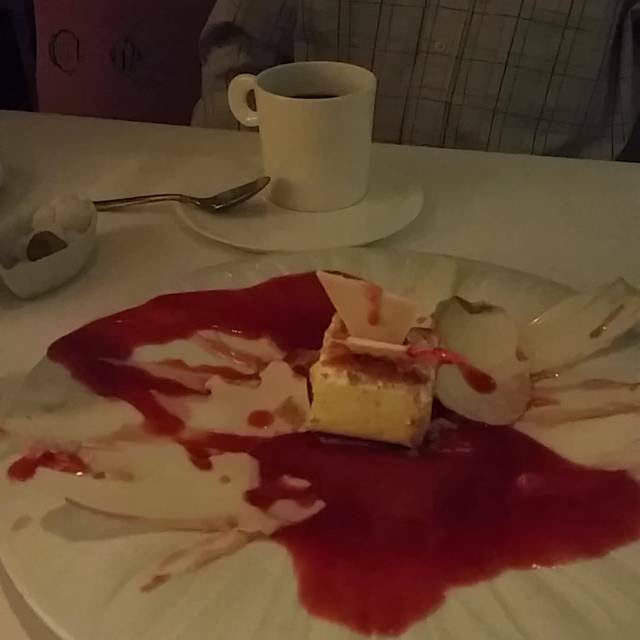 In brief, we will not recommend this restaurant to anyone because you can find much better, more creative and more tasty food at a much more reasonable price in many other "fine dining" restaurants in Ste Pete and St Petersburgh area. Nice place. Service was exceptional, particularly our server Don. He did a fantastic job serving us. His delicious descriptions of the meals helped us decide on our dinner selections. However, his discriptions were much better than the actual meals we were served. Food was mediocre. The taste and quality was subpar. The lobster and scallops were chewy and did not taste fresh. The duck was tender and tasty, but nothing to rave about. Very small portions and very expensive. Left feeling hungry and not satisfied. Be prepared to spend at least $80-100.00 per person for drinks and dinner. Very loud. Had to raise our voices in conversation to be heard over the noise. Overall it was a nice time, but it was our time celebrating the engagement of our friends, not the dining experience. It was disappointing. A one time visit. We will not go there again. Not recommended. The service was superb and so was the food. The only drawback from the experience was a family that was dining adjacent to us had a child who was loud which made it hard to hear our conversation and enjoy our meal at times. Wonderful service and outstanding food, this is s must try restaurant. You will not be disappointed. This is a highly rated restaurant and it deserves its accolades. It was really hard to decide among the lobster, snapper and scallops as the best dish but the consensus was the duck which was absolutely superb. The crab roll and foie gras started the evening and they were excellent as well. We thought things could not get better but we were wrong. The salted caramel gelato was the perfect and most delicious ending. From start to finish, this was terrific. I should add that the service matched the food. Our head waiter was Don and it was his recommendations upon which we relied and he was spot on. As an aside, he had a wonderful announcers voice. Oh, and he ran outside to make sure the valet had our car ready for when we left. Excellent service and very fine food. Noise level was high due to a large group sitting close by our table. We could have asked to be moved to another table but did not do so. That is something I regret. Waiter's timing and attention was perfect. I would return and would suggest Maritana Grill to others . Especially for a special occasion. Their salads were fantastic including my favorite with roasted beets. The lobster dish was fantastic. The lobster was taken out of the shell, perfectly cooked and served with the most delicious lobster bisque I have ever had. The bisque had grilled mushrooms and other delights in it. I had a perfectly cook tilefish over a very nice cassoulet. I could suggest adding duck confit to the cassoulet. Paired with their Far Niente Chardonnay, it made a great meal. Food over salted, noisy, over priced. Wonderful food and great service. Don was our waiter and did a tremendous job. Our hostess Lucy was terrific. The bartender Noel was entertaining and mixed some great martinis. The food is delicious. All in all a very positive experience. I would recommend the Maritana because the ambiance quite different and so is the menu. My one negative was the woman who greeted and seated us. She made no effort to be welcoming, we were twenty minutes early and she basically said she'd seat us when the time was right. She made no suggestion to for us to sit at the bar until I asked, and even then it was without enthusiasm. I am willing to go back as I'm always willing to give a second chance, but I watched her be courteous and willing with others behind us, leaving me wondering what the difference could be. I also had to go to her and ask to be seated when the twenty minutes was up, even though she kept walking by us...the only two women sitting at the bar. Hmmmm. Food was good but I wouldn't say great. Service was attentive. Onion soup was bland and not hot. Filet mignon oscar was tender and flavorville but I thought expensive $54. Potatoes were bland. Pear salad was okay. Hubby had scallops which were very good. Very Expensive tiny food and drinks. Small menu. Limited options. Everything a la carte. Great service. Nice ambience... just not worth visiting twice. Excellent presentation and flavor. Service was very good.